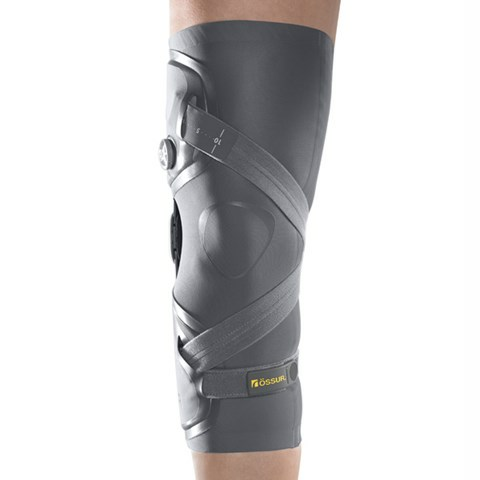 Unloader FIT is the lightest functional knee OA brace available, weighing only 296g/10oz. Featuring Össur’s clinically proven 3-Point Leverage System, it is designed to provide rapid pain relief to users with unicompartmental knee osteoarthritis. The low-profile sleeve design makes the brace fit discreetly underneath clothing and easy to pull-on. The tension on the dual Dynamic Force Straps, and thereby the amount of pain relief, is easily adjusted through a single SmartDosing™ dial. The Unloader FIT enables patients to engage in a variety of activities without the limitation of constant knee pain.